Rainbow and Brown Trout are non-native to Australia. Rainbows were originally from North America and Browns from Europe. Both species have now been introduced to waters all around the world. 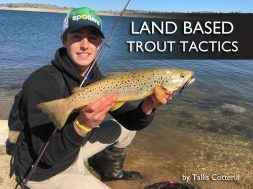 Both species are a long elongated type fish with the Brown Trout having a more solid and wide body and larger head in most cases. 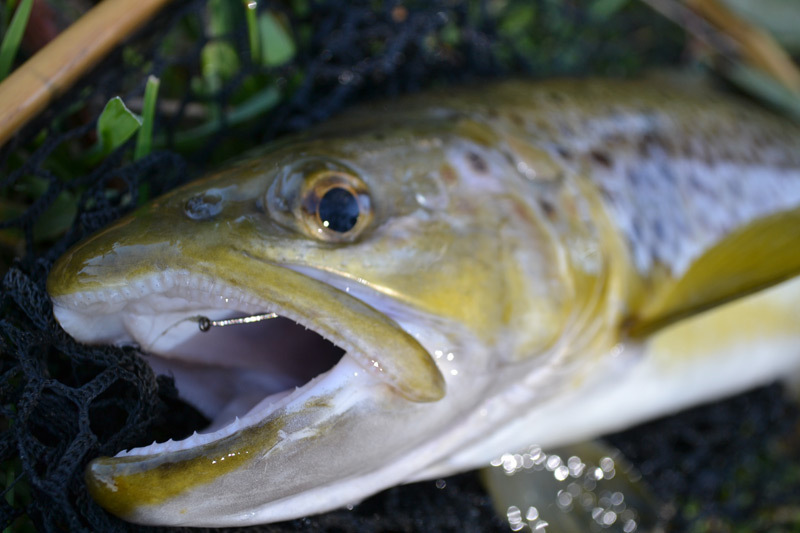 The Brown Trout has a large mouth that extends back underneath their eyes. The colours vary in both fish depending on the habitat, food, water clarity and age of the fish. Rainbow Trout can have a silvery olive green appearance, to almost a shiny blue or pink like colour. They usually have a wide pink stripe that runs from their gill covers all the way down the centre of their body. They are covered in small black dots that will be on their head, dorsal fin and tail. Juvenile Rainbows will have large blue round markings along their lateral line, this colour disappears as the fish reached around 20-25cm. During spawning periods the colours will brighten and their belly will become dark and grey in colour. 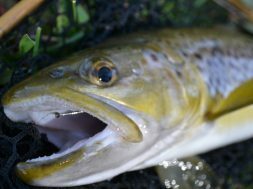 The Brown Trout varies greatly in colour from a deep olive brown like colour with distinct black spots, that are surrounded by a pale halo, and some browns will be a sliver like colour with very light dull spots that can sometimes be hardly noticed. Juvenile Brown Trout will have distinct red spots down their lateral line. Both species can be very similar and hard to tell apart, one way to distinguish the species is Rainbow Trout have small back spots and they will be present on the entire tail. 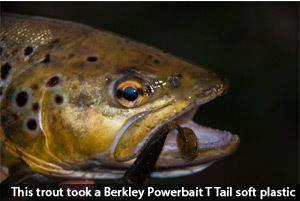 Brown Trout usually don’t have spots on the tail and if they do it won’t cover their entire tail. Rainbow and Brown Trout are known to reach massive sizes over a metre in length and weighing more than 15kg in some countries. This size depends on their habitat and food supply. In Australia they don’t grow to the sizes like they do in Canada and New Zealand. 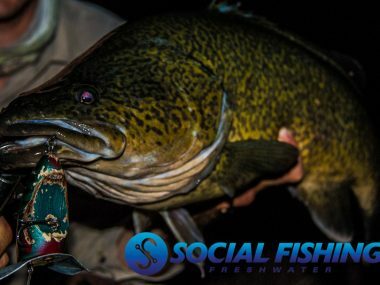 Any Trout over 80cm in Australia is an extreme rarity, with any fish over 60cm being a Trout of a life time for many anglers. 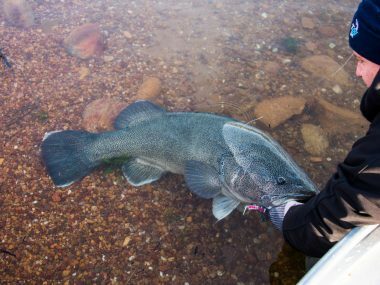 In streams the average size is around 25-35cm and around 1lb with anything above 50cm and about 4lb being a rare catch. 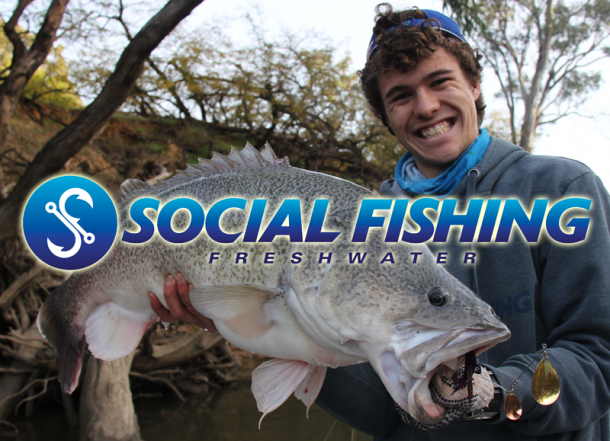 In the impoundments and lakes the average size is around the 45cm/4-5lb mark, with fish up around the 55cm mark being a regular catch. Trout are found in cool clear waters in the mountain ranges, from northern NSW along the Great Diving Range, all throughout the Snowy Mountains, in many of the Victorian rivers and lakes, across to parts of South Australia and all throughout the Tasmanian freshwaters. Trout live in extremely cold waters that are usually high in altitude. As these waterways are fed by the snow melt. They are crystal clear, fast and shallow running streams and rivers, or they inhabit the large open lakes high up in the mountains. Many of the streams and rivers have a pebbly and rocky base, which allows the water to flow fast and clear. Due to the clear waters the Trout become intelligent as they need to hide and catch their prey, which can be difficult in crystal clear waters. In rivers they will seek out deep holes, undercut banks, riffle beds, pooled water, overhanging trees or any form of structure to stay hidden from not only predators but their prey. Trout will usually sit near fast water with their heads up into the current waiting for food to come down the current and into their path. In lakes they move around depending on the time of year. During the middle of summer the water becomes too hot for the fish to be in the shallow margins of the lake so they will push into deeper water, as this is a more comfortable depth for the fish. During the spring time when the insects begin to hatch the fish will move into the shallow edges patrolling the shorelines in search of food. Trout will also be found in impoundments along the wind lanes where all the food is pushed into a channel that sits on the water’s surface. Trout will come to the top and also sit beneath these wind lanes scavenging on all the food. Both species of trout have similar feeding patterns. They will feed on a whole host of insects and crustaceans including grasshoppers, mudeyes, shrimp, yabbies, beetles, worms, grubs and other small fish. 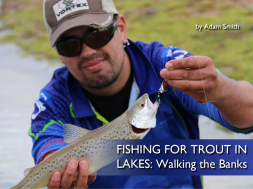 Trout will actively take lures and are an excellent sport fish. They take anything that represents a small fish like a small hard body or a soft plastic. Trout are targeted widely by fly fisherman using small insect imitations. 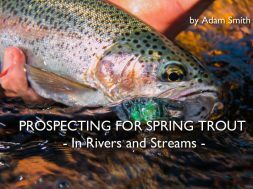 Trout will reproduce and spawn at about 2 years of age. They will spawn in shallow sections of a stream on the river bed, usually a gravel bottom where the female creates a nest to lay the eggs. A Trout can lay anywhere between 400-3000 eggs depending on the size of the fish (900 per pound). 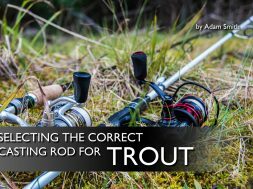 There are an array of rules around trout fishing in different waterways and these differ from NSW to Victoria. Note there are four kinds of trout waters: trout spawning streams, artificial lure and fly, normal trout streams and dams. Season closed in all rivers and streams from June long weekend till October long weekend, this allows the fish to reproduce without disturbance. Dams are open all year round. 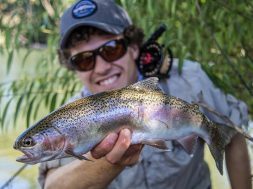 There are also specific trout waters that are classified as ‘Artificial Lure & Fly’ which means you cannot bait fish in these waters. The legal length for trout is 25cm in all waters except trout spawning streams, where the length is 50cm. 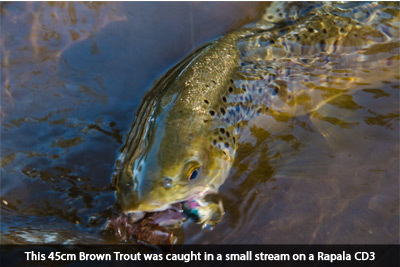 Possession limit for trout is; 4 in artificial lure and fly streams, 2 in spawning streams and 10 in other waters.